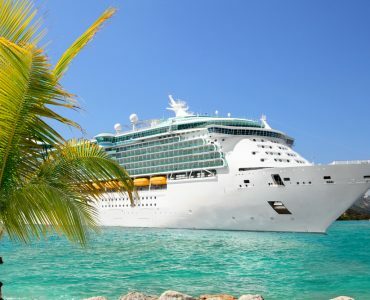 If you’re planning to get married on board a cruise ship, then you will want to book in good time to make sure that everything works out just as you want it to. Remember that your captain and crew need time to prepare for your special day, just as you do. 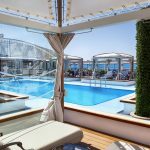 In most cases, cruise lines offer a variety of levels of service from which to choose, according to the number of guests you plan to invite. These can be further tailored to reflect the particular elements you prefer. For example, small, intimate wedding ceremonies often include an onboard, suitably decorated, venue so your guests can watch the ceremony (usually on embarkation day) even if they are not sailing. You will also receive an official wedding certificate, and frequently sample a two-tier wedding cake and sparkling wine for toasts. The bride and groom normally also enjoy a complimentary evening meal onboard the same day. As you would expect, increasing the number of guests and the level of service means you can enjoy lots of added extras, including complimentary massages for the happy couple, better quality wines and additional photography services. 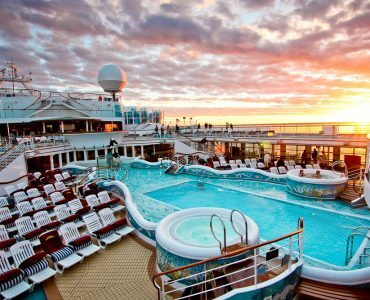 You’ll find that wedding packages are widely available across most Caribbean and European cruise lines. There is something incredibly romantic about being married at sea by the captain of the ship. 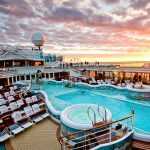 Some cruise lines offer what can only be described as state-of-the-art technology that allows you to arrange for the ceremony to be broadcast live, via webcam, to friends and family anywhere in the world. Now that’s a very special added extra on your wedding day. If you want to be married while sailing in the Caribbean you can do so without having to bring legal documents on board. 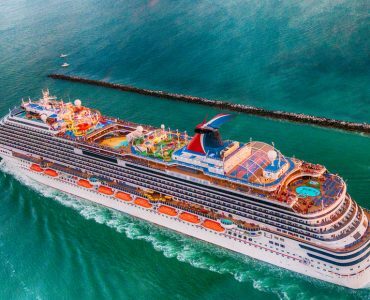 You can also get married onshore during the cruise: destinations include, for instance, St. Thomas, St. Maarten, San Juan, Nassau, Jamaica, Grand Cayman and Cozumel. 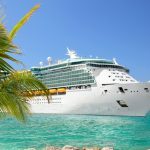 It has to be said that the smart money is on those couples who opt to purchase a Caribbean cruise package that begins with their big day on board and proceeds immediately to their honeymoon. There are lots of perks that go along with this choice. 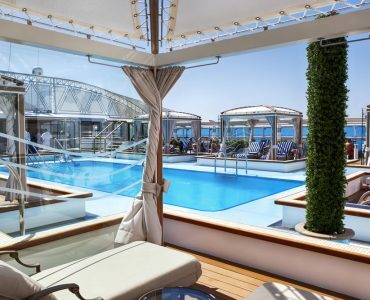 Honeymoon features on Caribbean cruise deals can be absolutely wonderful so deciding to do the wedding followed by honeymoon combination is a winner all around. Generally, newlywed travellers look for balmy weather, white sandy beaches, lots of opportunities to sample the local culture and first-class luxury accommodation. In particular, inclusive packages for honeymooners in the Caribbean mean that couples can enjoy unlimited luxury without having to worry about hidden costs. Popular Caribbean islands include St Lucia, Young Island and Mustique in The Grenadines as well as Barbados, Grenada and Necker Island (part of the British Virgin Islands). Among the top romantic retreats is the tiny island of Anguilla, while the best honeymoon resorts include CuisinArt Golf Resort & Spa as well as Cap Juluca. It has to be said that Caribbean weddings are a wonderful option for couples who don’t want the stress and aggravation of a traditional wedding and prefer to book a sort of ‘elopement package’ instead. Beach weddings or marriage ceremonies at sea are like a breath of fresh air and encourage those who attend to relax and really enjoy themselves.